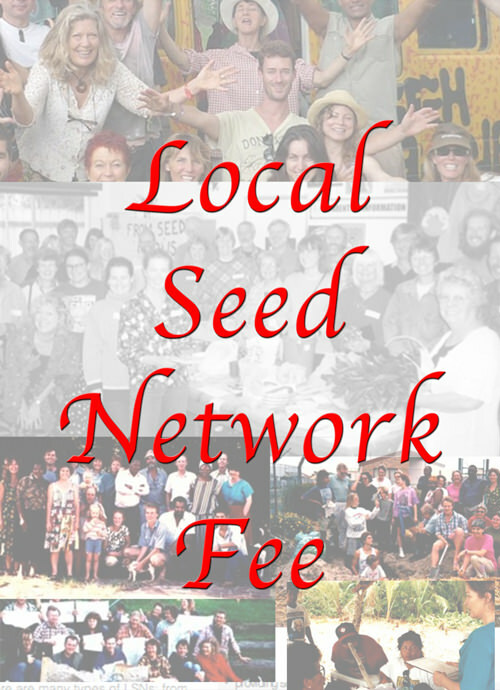 Your annual payments will help us to promote Local Seed Networks and support those LSNs still in the establishment phase. The cost is $50 for one year or $45 for further years. You will receive ongoing support from Seed Savers as well as at start-up. • a copy of each of our five seed saving posters. • Curricula for seed saving courses. If you are a “stand alone” entity, you will need public liability insurance in case someone is hurt during one of your events; you may alternatively decide to form your group under the auspices of an existing group that has its own public liability insurance. We have negotiated with an insurance broker for our LSNs to have discounted public liability insurance, making it much more cost-effective than other options; at January 2014 this was $350 per year. • Our Seeds one hour documentary ($24 post paid or $15 for five or more copies). The Short Happy Life of Cucumber (A2). We contact organisations that may be interested, or even active, in saving traditional varieties of food plants to formally commence an LSN. We determine areas of Australia that have no LSNs and focus our recruiting efforts there. While we don’t enforce payment of LSN fees, we do appreciate your appreciation.